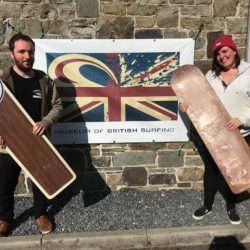 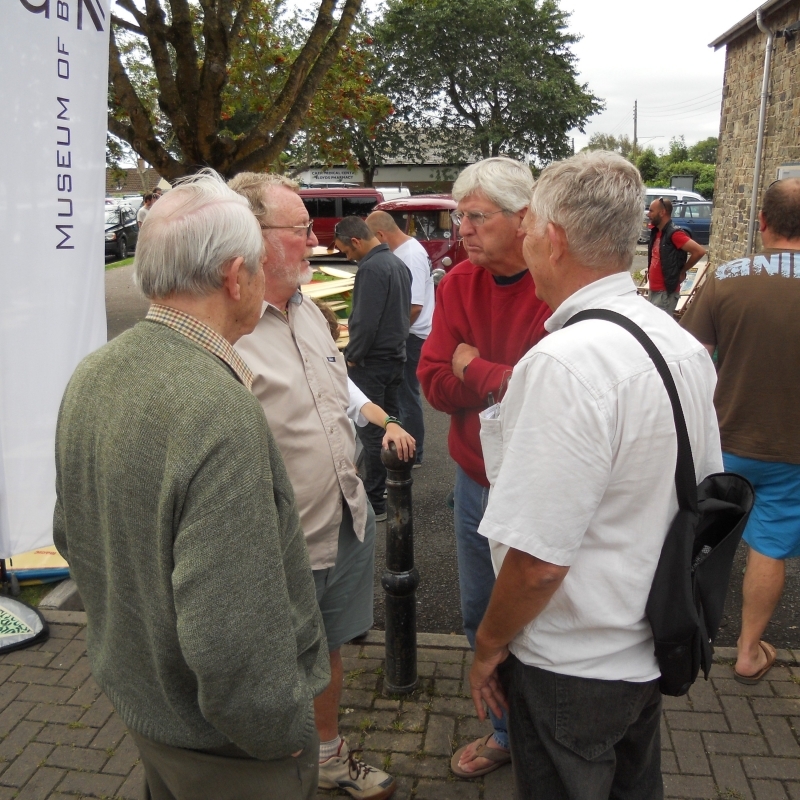 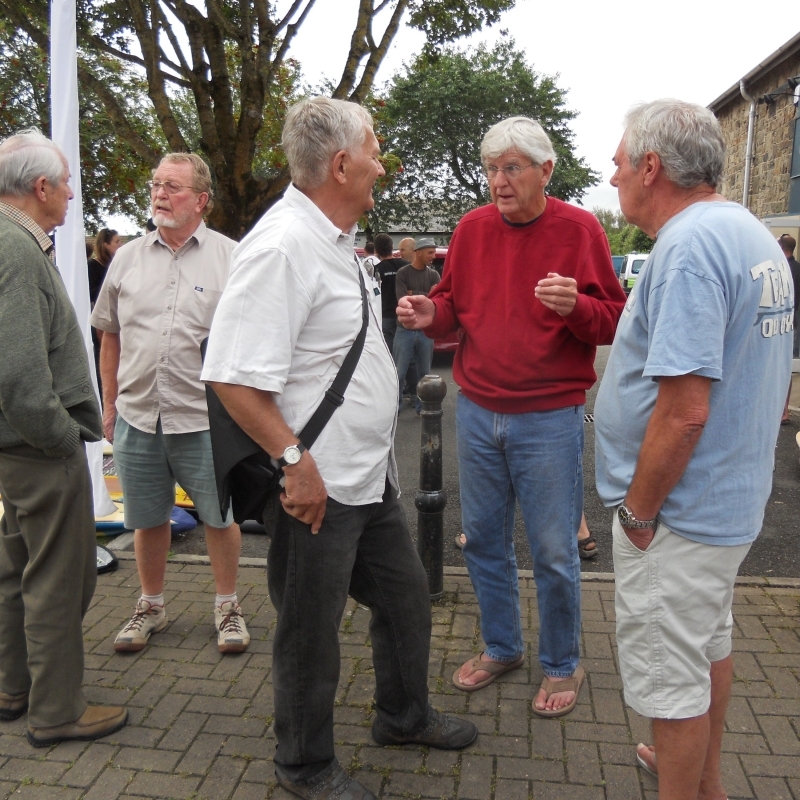 Hundreds of people from across the UK enjoyed the first Vintage Surf Meet at the Museum of British Surfing in Braunton on Sunday. 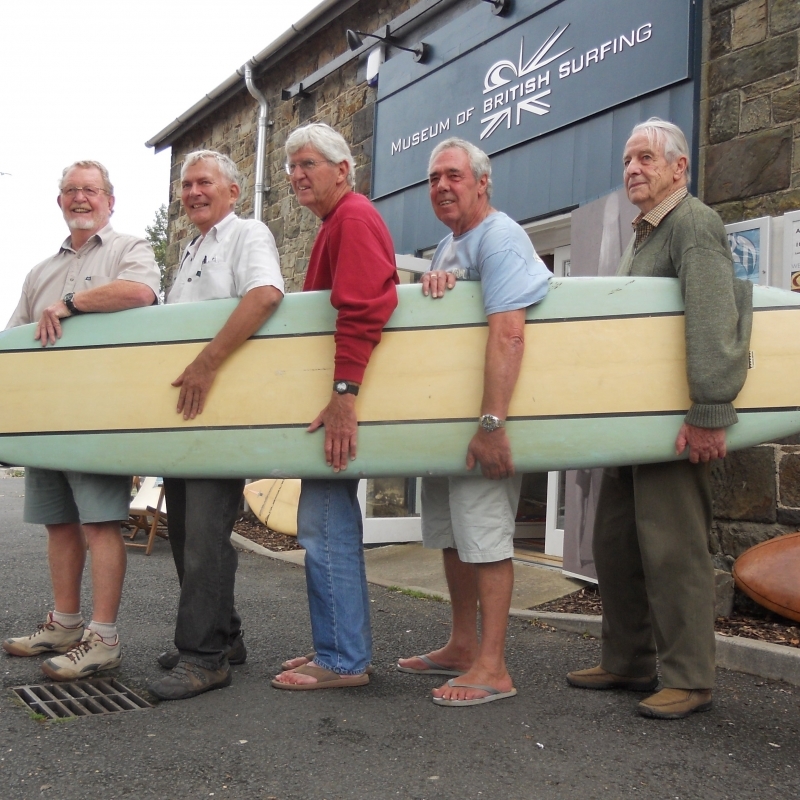 Star attraction was the visit of legendary Californian shaper from the 1950s & 60s, Bing Copeland, pictured here with a line-up of local North Devon surfing pioneers. 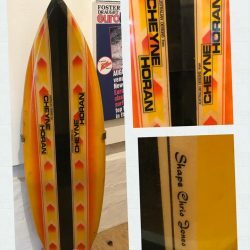 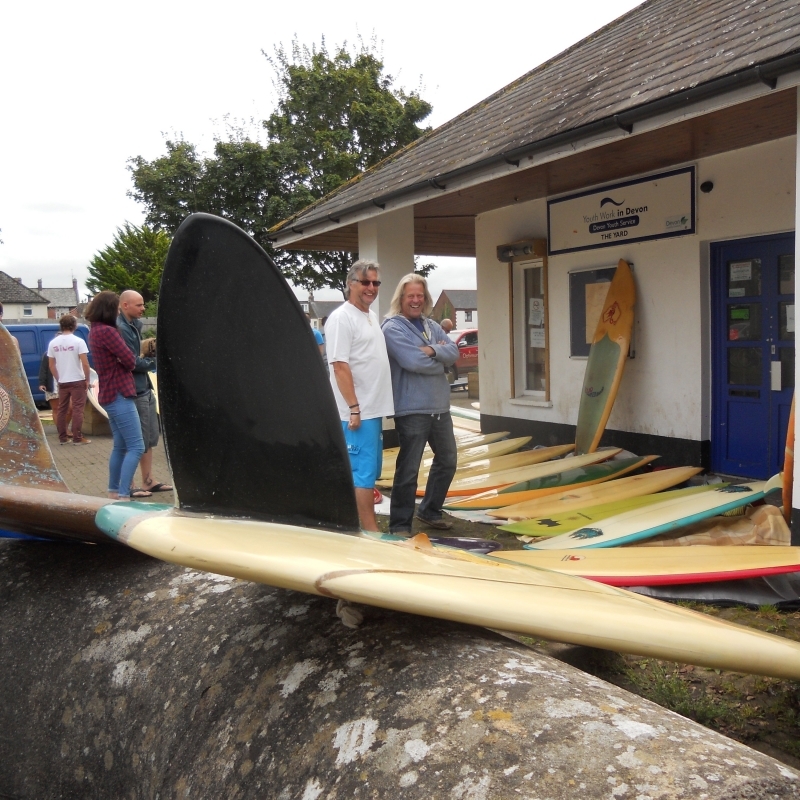 The evening before Bing attended a charity film screening of the new movie ‘Boardroom – legends of surfboard shaping’ at Croyde Village Hall which raised more than £1,000 for Surfers Against Sewage and the surfing museum. 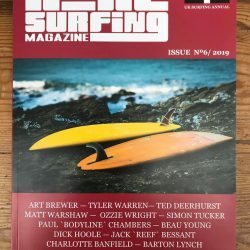 The night also featured an exclusive live performance from the wonderful Matthew P, which went down a storm with the sell-out crowd. 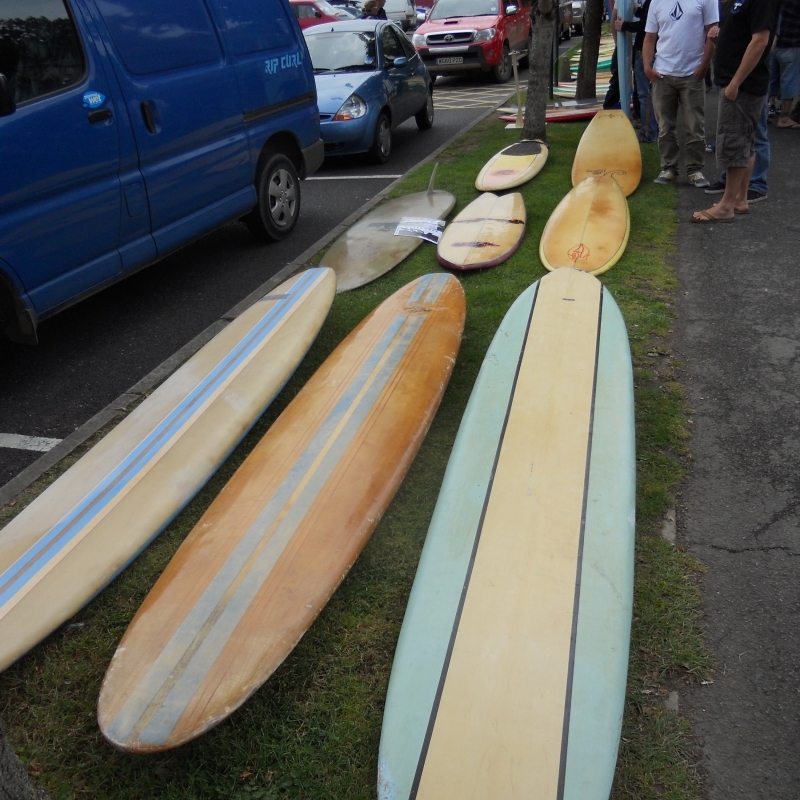 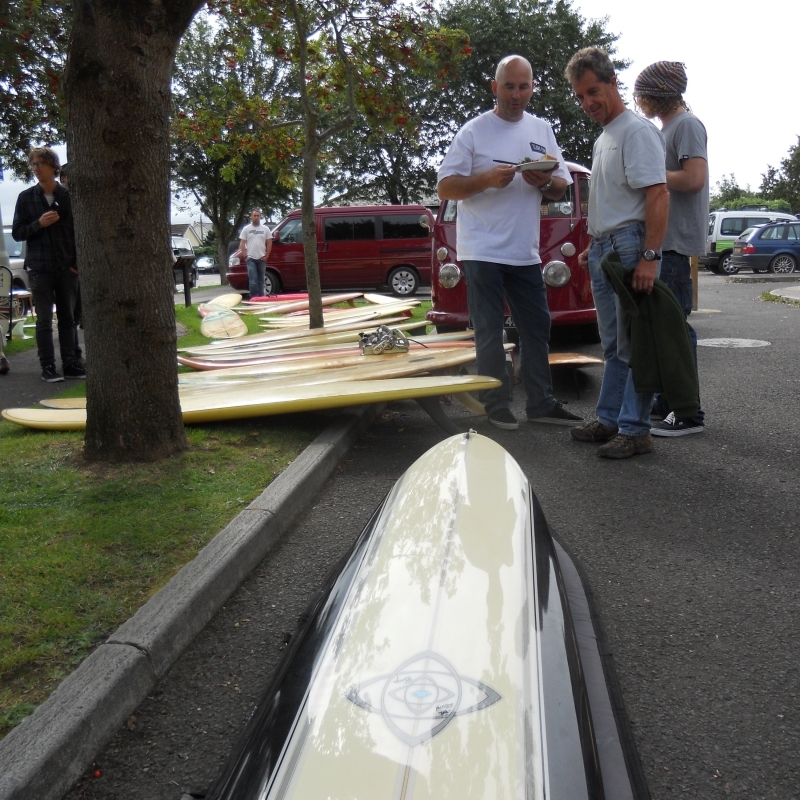 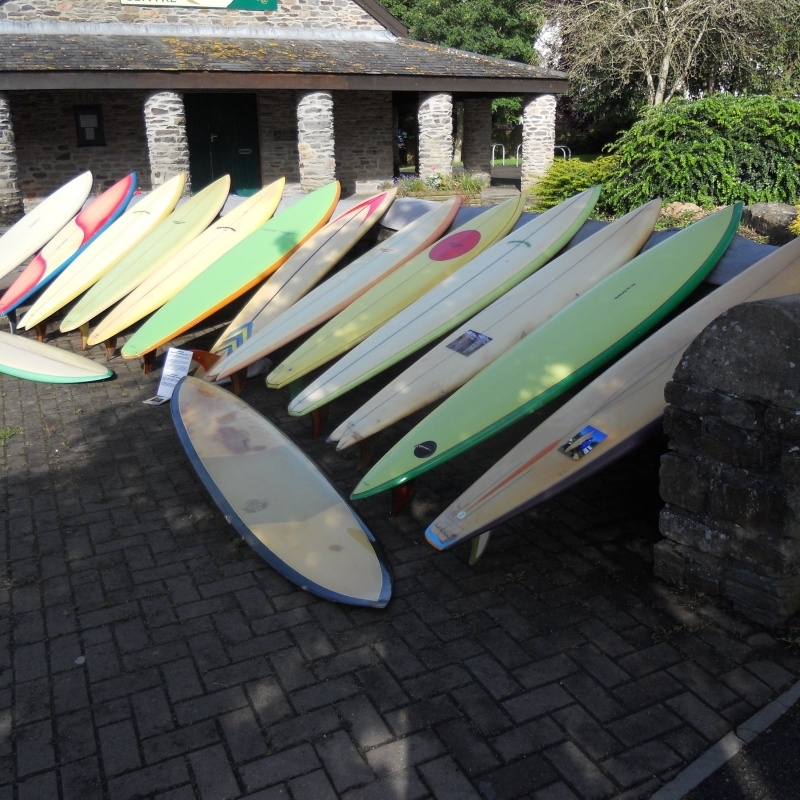 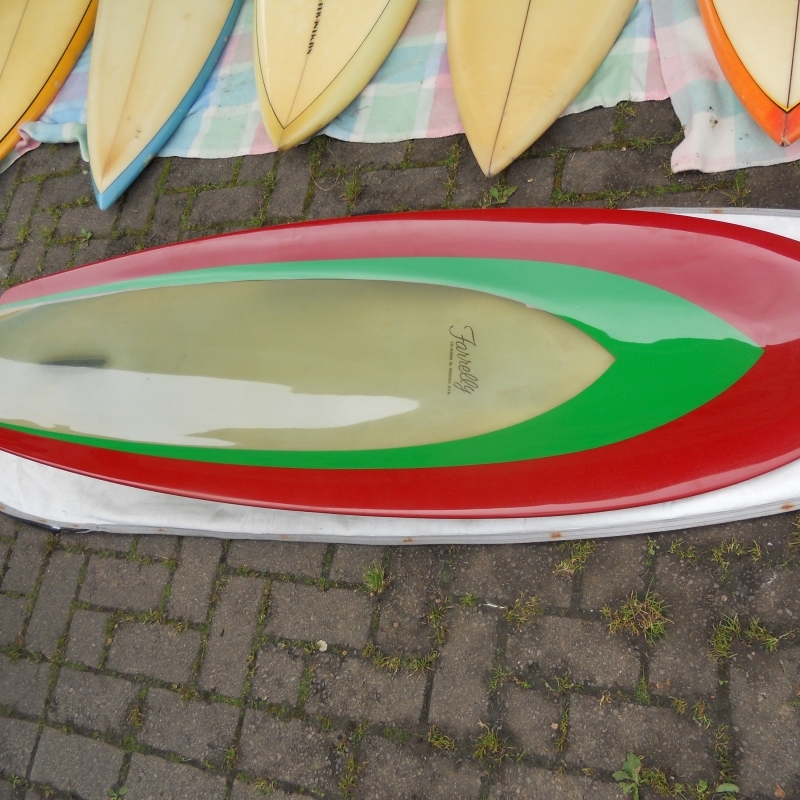 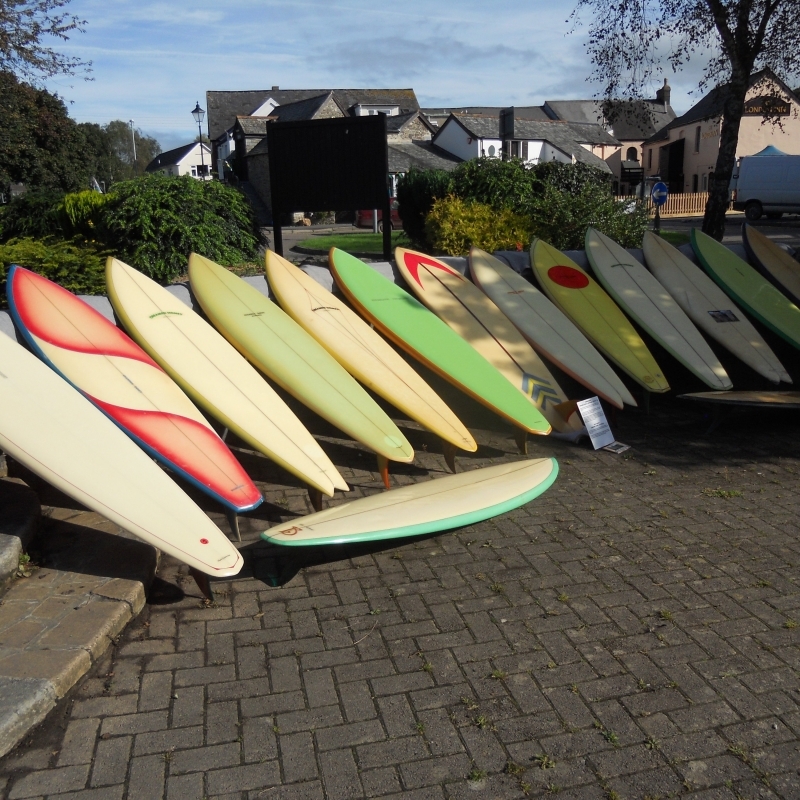 Sunday’s surf meet featured more than 100 vintage surfboards from private collections from all over Britain on display. 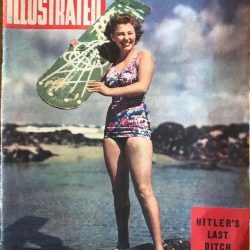 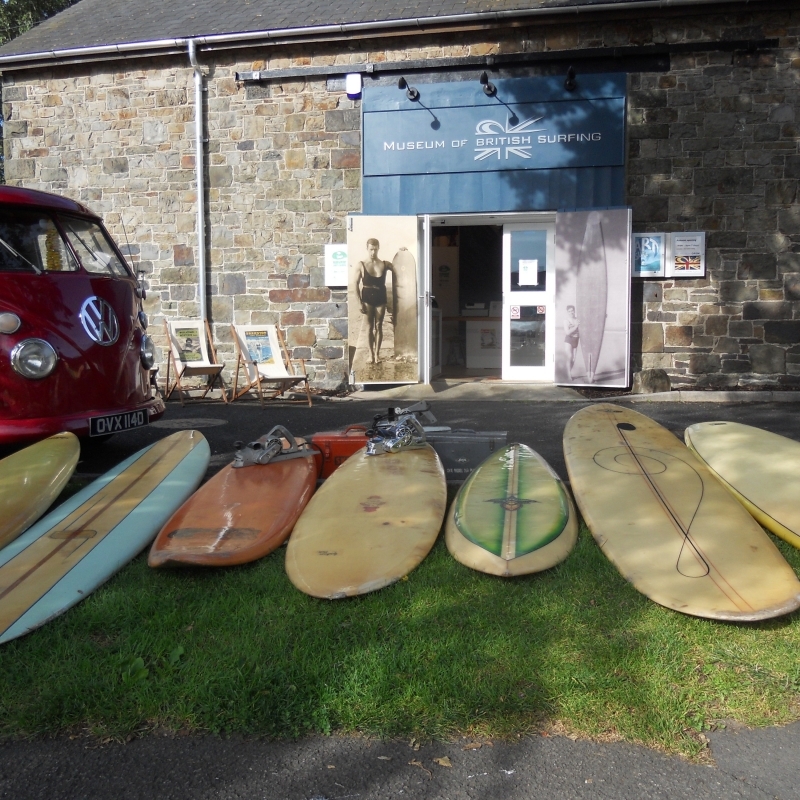 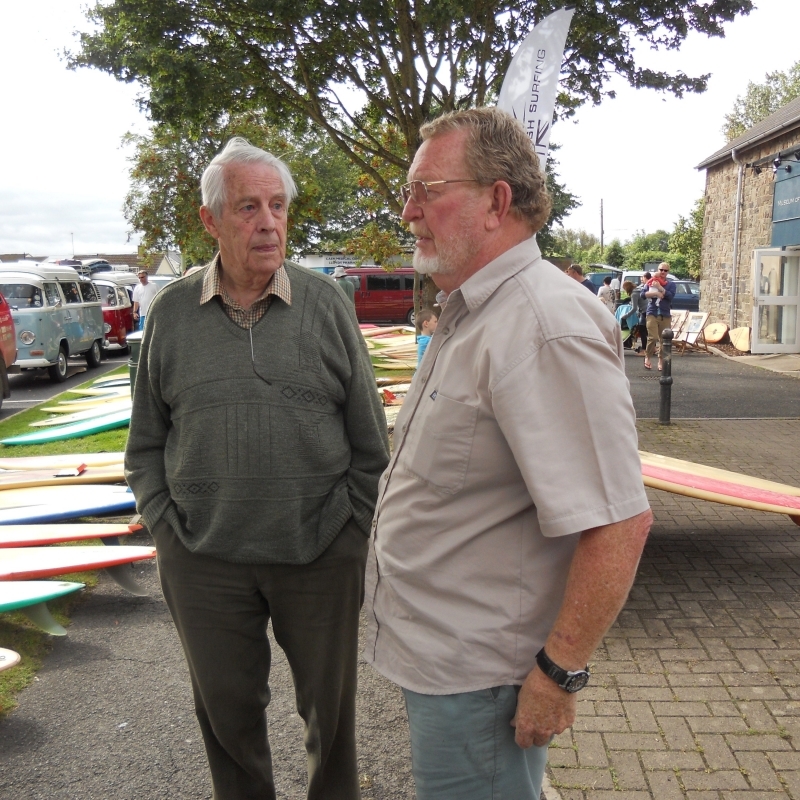 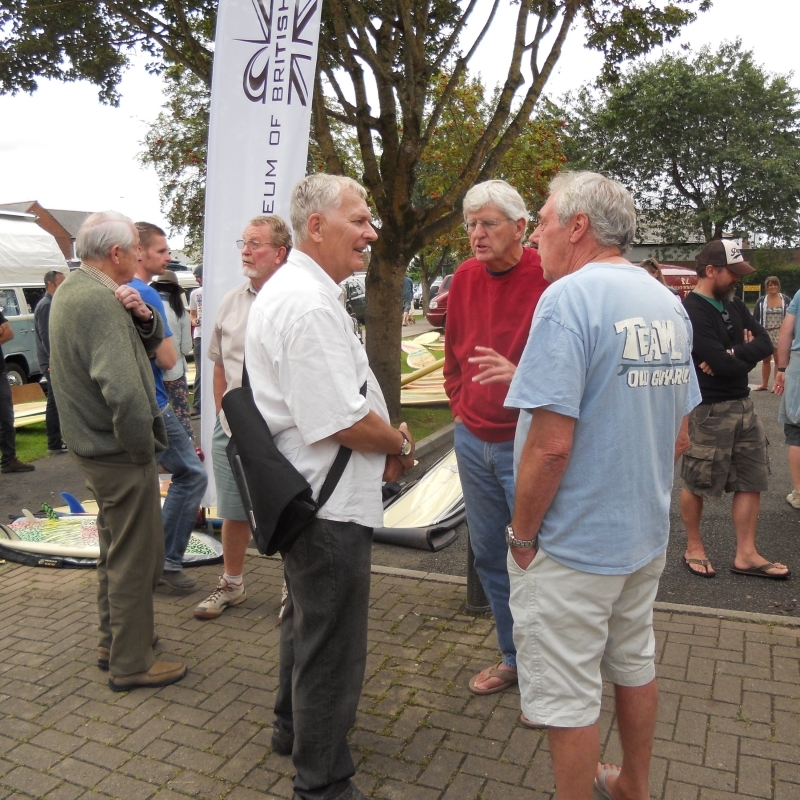 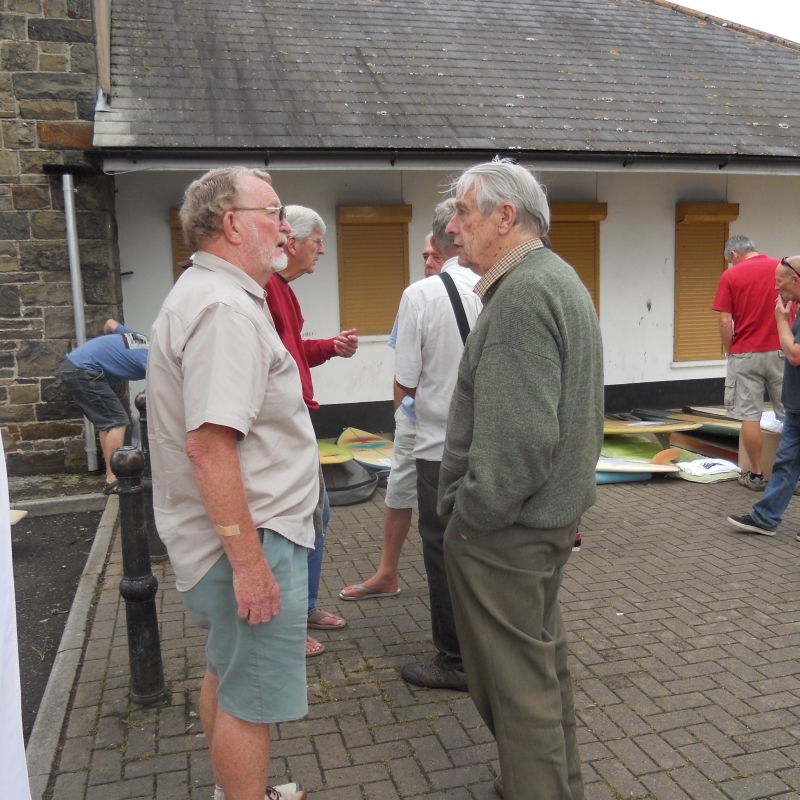 The event, the first of its kind in North Devon, was organised with Al Lindsay who writes the Vintage Surfboard Collector UK blog and is now set to become a regular feature on the new museum’s calendar. 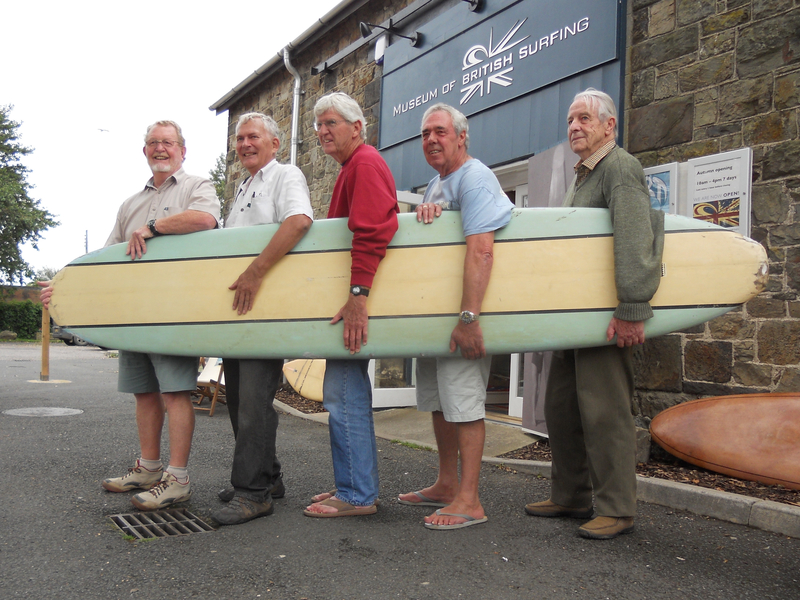 Featured photo – Alan Kift (pioneer Devon surfer & lifeguard), Tony Cope (1960s surfer/shaper), Bing Copeland (Californian legend), Alan Brooks (Tiki/Chapter Surfboards) and Bob Powers (Powers Surfboards), with one of Bob’s early shapes from the 1960s.